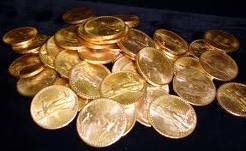 Lugoff Loan Company, LLC - Pawn, Buy, Sell, Trade - Shhh! It's a pawn shop! Welcome to Lugoff Loan Company, LLC. Although pawn shops have been around for over 3000 years, today's pawn shops have evolved into small local banks for millions of Americans who cannot get a traditional loan from the big banks. In addition to lending money to those people wanting short term loans, we also serve a variety of people from all walks of life who wish to buy and sell rare and unique items. Browse some of our store items now! Come see our knowledgeable staff to ask about special order firearms. We are the best in the area for buying, trading, and pawning your firearms. You deserve the best bang for your buck and Lugoff Loan Company can beat any special order firearms price in the area. Stop in and see what we have to offer! We have money to lend. 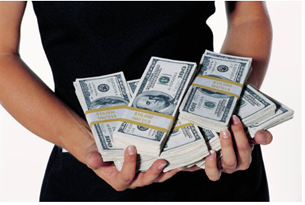 If you need a quick cash loan we are here to help. At Lugoff Loan Company, LLC you can rest assured that all your transactions will be handled promptly with respect, sensitivity and care. We are a legal pawn shop licensed, bonded and insured by the state and the interest rate applied to your personal loan is state regulated. We will assess the value of your pawned items and work a deal with you to quickly get you on your way. When you pawn an item to obtain a loan, you pledge property you own as collateral and simply turn your goods temporarily back into the cash it once was. In effect, you are borrowing from yourself. There are no credit checks, no begging for money from friends or family, no high interest cash advances on your credit cards, and no negative repercussions for unrepaid loans. It’s a safe, secure and fast way to borrow cash based upon your collertal.